Once upon a time the Buggles warbled that video killed the radio star. However, their concerns for the demise of traditional media from the evil overlords of technical innovation were unmet: both live happily side-by-side in a flourishing, interconnected world - each dependent on the other. The radio star lives on. Many similarities can be drawn between the Buggles’ fears and modern day retail. With the rise of online came predictions about the demise of bricks and mortar. The traditional retail establishment feared that the world wide (evil) web would strangle its ability to stand strong, with greater choice and competitive pricing chipping away at its foundations and printing the “closing down sales” on its once bright and shiny windows. The reality is that on- and offline commerce can have a symbiotic relationship, with a study from PwC showing that the majority (56%) of US shoppers said they spent more with their favourite retailer since shopping across multiple channels. In order to succeed in this multichannel world, brands must give shoppers a continuous, personalised experience no matter which channel they are interacting on - be that online or offline, on social or on-site. And in order to do this, they must have a single customer view: a way of integrating interaction data across the online and offline realms. In this blog post we explore ways to achieve a more complete customer view through the marriage of on and offline data, to deliver improved engagement, ROI and ecommerce success. The paper receipt has served us well. A noble steed lining our wallets throughout our physical shopping adventure. But in this digital world, the days of that little scrap of paper are surely limited. Labeled a “limitless” marketing opportunity in an Epsilon study, e-receipts present a unique opportunity to close the loop between the real world and online: a very tempting proposition with research suggesting that 45% of UK shoppers want them. Not only saving trees, e-receipts solve one of the biggest headaches for retailers: acquiring accurate contact points for your customer base. Armed with an email address, a retailer can try to up or cross-sell you with personalised sales incentives and can provide deeper insight into consumer shopping habits, which can lead to more targeted advertising mailers, promotions, and emails. Akin to an online transactional email, their post-purchase placement during the customer's window of heightened engagement (with 65%-75% open rates) makes them part of a crucial marketing moment. However, retailers have to tread carefully. Customers who want an e-receipt may not want additional marketing. But with nearly two-thirds (64%) of consumers saying they are open to receiving additional marketing content via their e-receipt, according to research by Bronto - consumers seem to be willing. The study further found that the information most desired by UK consumers is notification of upcoming sales (40%), followed by promotions on related products (34%) and information about loyalty programmes (31%). 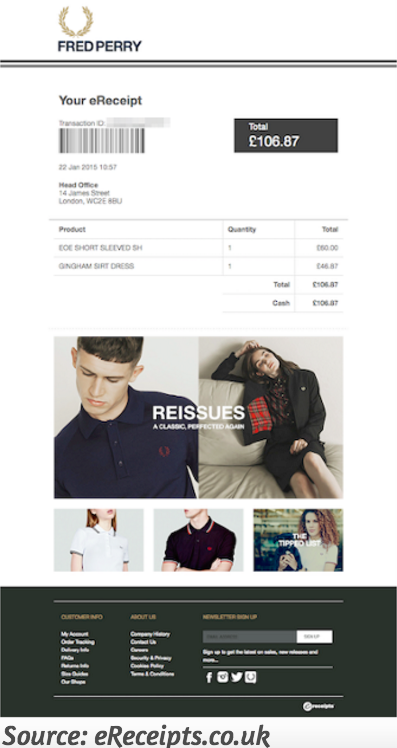 Marketers should consider using digital receipts not only as a vehicle to acquire customers’ email addresses or a remarketing opportunity - but as a way to link online and offline purchase behaviour and map a more detailed customer view. 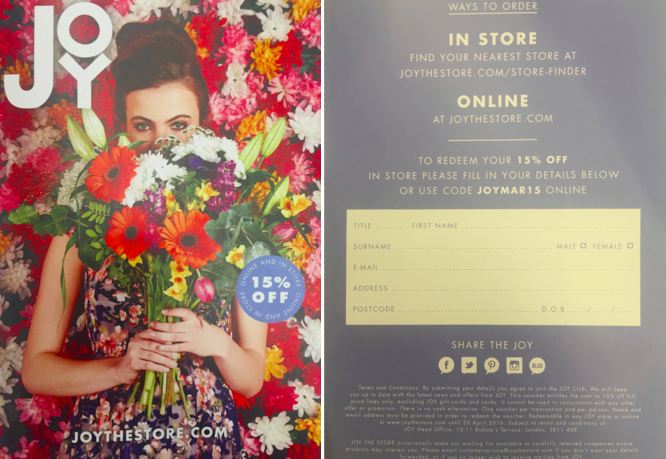 Why not offer a stack of promotional flyers or cards in-store, which point customers in the direction of you website to redeem them? At important decision-making points throughout the store - such as fitting rooms and POS desks - highlight discounted incentives in return for signing up to your email newsletter in a bid to build your email list and work towards future online sales. In chains such as H&M offline campaigns to drive online engagement are commonplace, with 20% off purchases handed out in return for signing up to their email newsletter. Offers can also be used to glean detailed customer experience data in the form of an in-store questionnaire. People love to be asked for their opinion: by offering a "chance to win" or a discounted incentive you can gather data at the same time as promoting sales. However, if you have been given no permission to carry on marketing to them, then the exercise will have been wasted. So an alternative is to ask them to complete a short survey on a tablet in-store that will entitle them to a free gift or offer - which they have to go to your website to redeem. This has the added advantage of being able to join up with the in-store purchase, if the right app is developed. A direct-mail campaign might be just what you need to drive targeted online traffic to your website. According to the a study by ExactTarget direct mail influences 76% of internet users to buy a product or service online - a tantalising statistic. For example, some retailers choose target lapsed customers with online vouchers - direct to their actual, real life mailbox (they still exist). Sending offers with a unique, trackable coupon code (so that you can track uptake) retailers can measure the success of direct mailers and consider future moves with better granularity of tracking and accuracy in attribution. A physical embodiment of the same email marketing beast, direct mail can help you to get to know your customers, tell them about your products, communicate your brand values and establish a relationship that brings long-term loyalty. Make a tempting offer: free online delivery, discount coupons, or loyalty points to prompt swift online activity. Use an easy-to-type URL: users will be put off if you point them towards an 50 character link...keep it simple. Personalised copy: if your DM isn't personalised to the recipient then don't bother sending it. Keeping the copy relevant to customer (based on gender, age, past shopping behaviour) will lead to greater engagement. Why not take things to the next level and test a personalised URL (pURL) to really trigger curiosity. 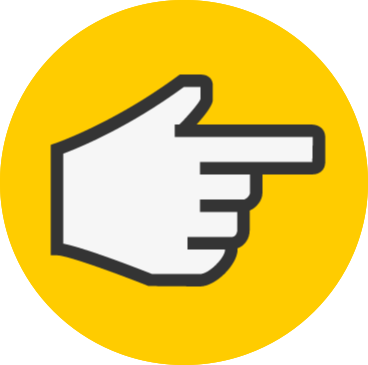 Issue a clear call-to-action: people are more likely to react to a message if you are as clear as possible. If you want your prospect to redeem an online voucher, for example, say "go to to www.ecommercesuccess.com to claim your £100 savings coupon." Push response with a deadline: time-based incentives drive a sense of urgency that will encourage a quick sale. Contact capture form: use this opportunity to get to know your customer better. Ask for details beyond gender and name to build a sophisticated customer profile. We've all been in the queue behind THAT person (hi mum) who dolls out their hoarded discount vouchers at checkout (and we're secretly jealous - everyone loves a bargain). Commonplace in stores such as WH Smith, discount vouchers are an added accompaniment to your transaction, often encouraging a further in-store visit to redeem the treat. Primarily focused on offline conversions, WH Smith (for example), could take the opportunity one step further by encouraging online engagement. Link "money off" promotions with your online channels by tying the discount to your website through online-only vouchers to encourage on-site activity. Similarly, your email marketing could deliver offline-only redemption vouchers in a bid to tie both worlds together and encourage footfall (and eyeballs) on both. 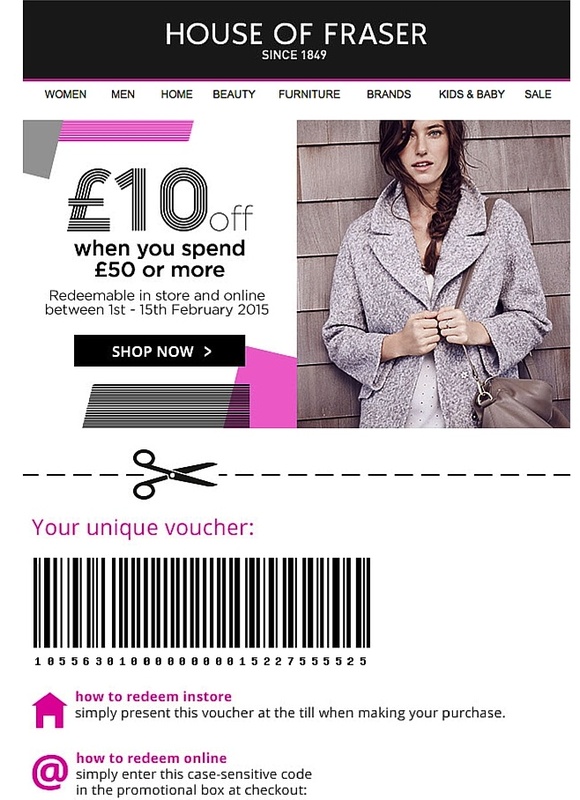 Take House of Fraser, for example, who include a coupon code in its post purchase email campaign that can be redeemed in-store. A clever way of boosting brand touchpoints - the (not so secret) exercise to keep both online and offline avenues healthy. Again, use unique coupon codes so that you can track uptake and map future strategies. By merging traditional and new data sources, retailers can gain a more thorough understanding of their customers’ paths to purchase - helping to build a more complete single customer view. For multichannel retailers, offline is as important as online - a reality recently discovered (the tough way) by American department store chain J.C. Penny, who found that while closing down struggling stores to combat ailing margins, online sales in the surrounding area also fell because awareness of the J.C. Penney brand faltered. Pausing the destruction of its retail estate, Penny recognised that its only future hinged on stores and ecommerce interacting to spur companywide sales - a real life American-sized metaphor for how important a close, connected relationship is between bricks and mortar and the world wide web.